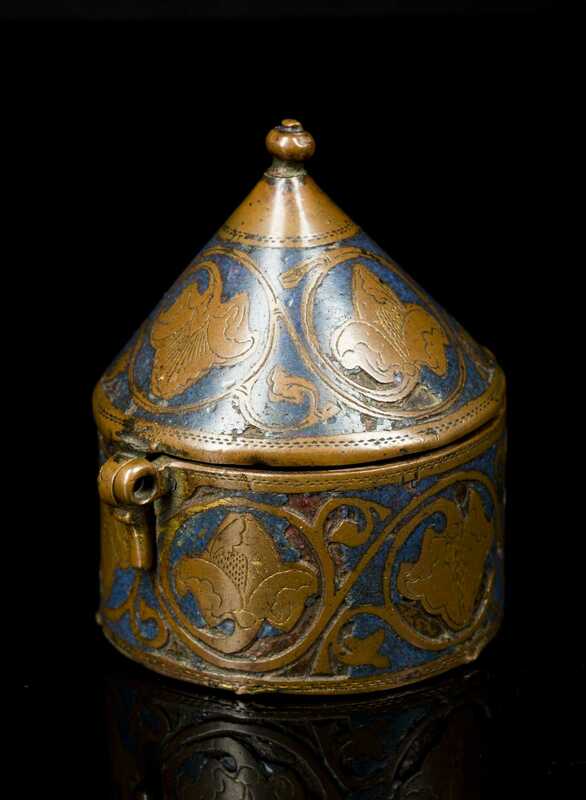 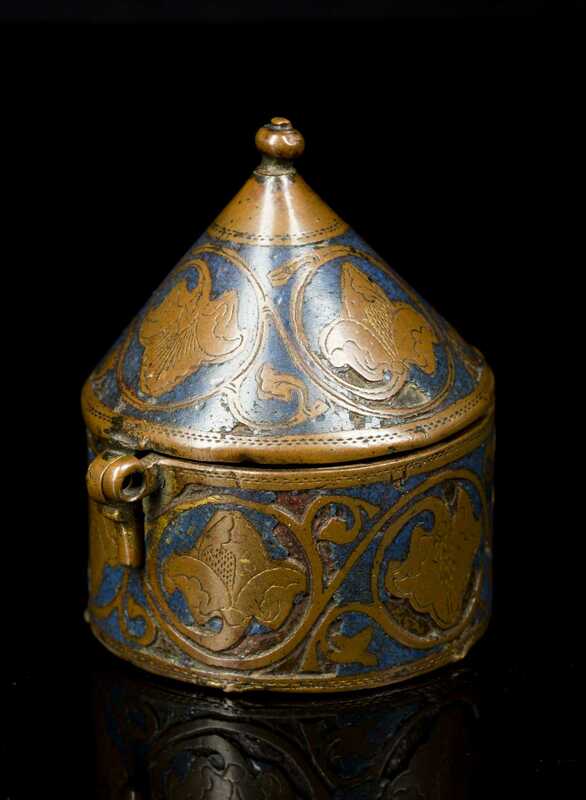 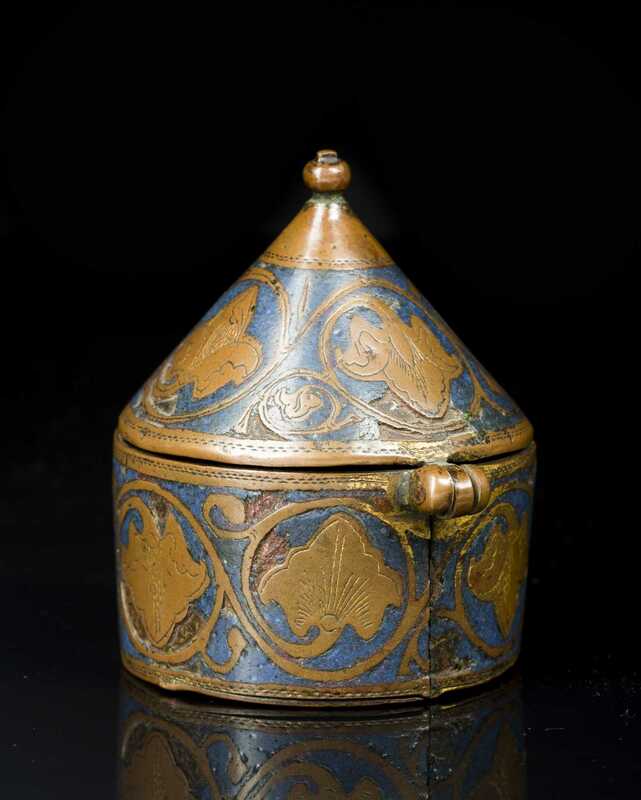 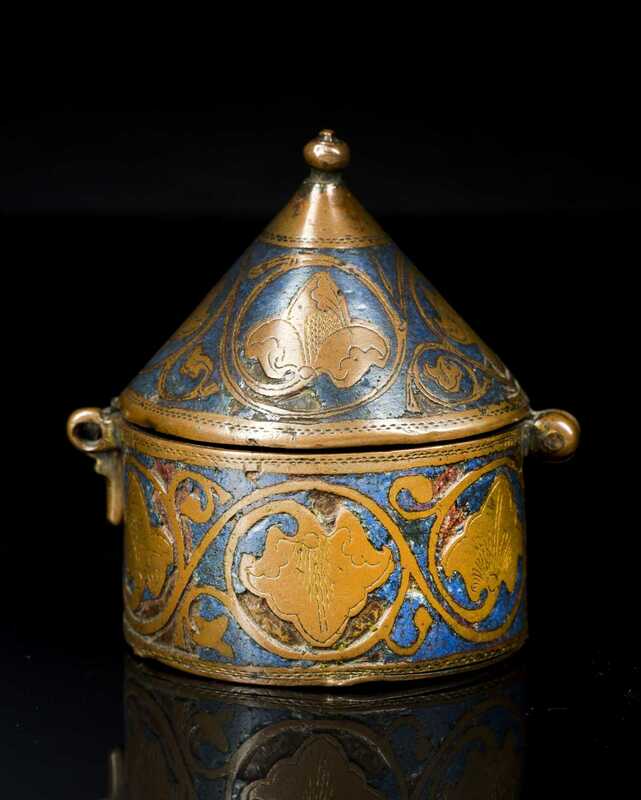 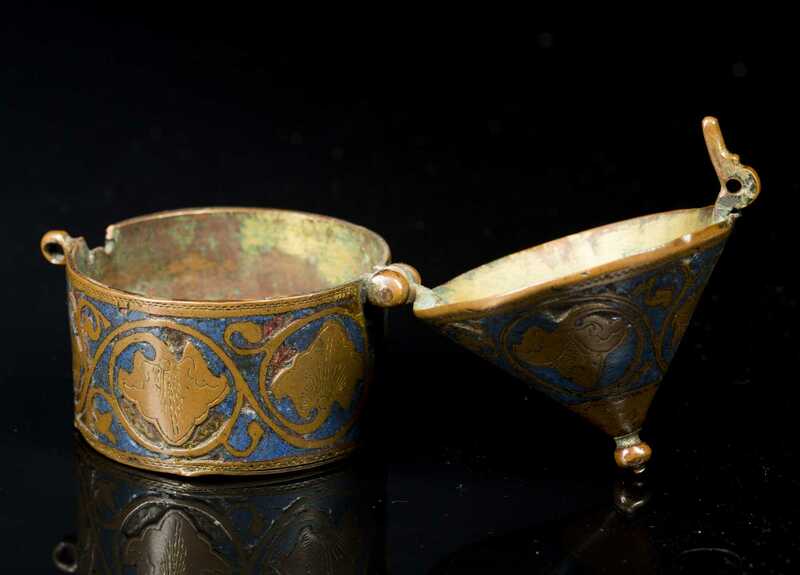 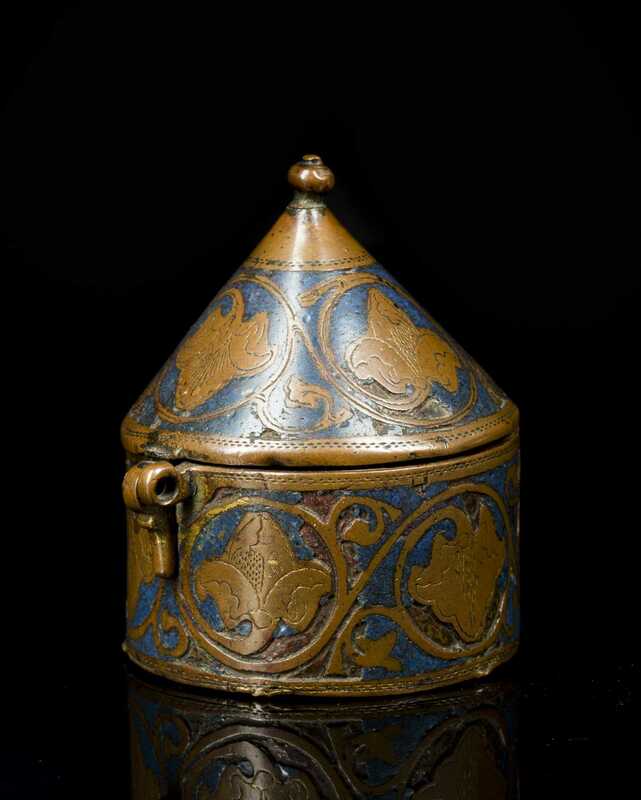 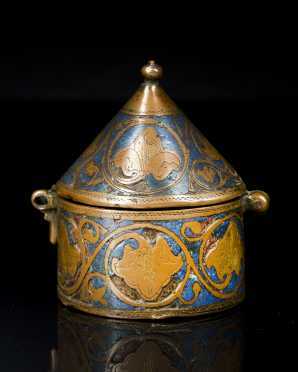 A Persian Metal and Enamel Decorated Dome Top Box. 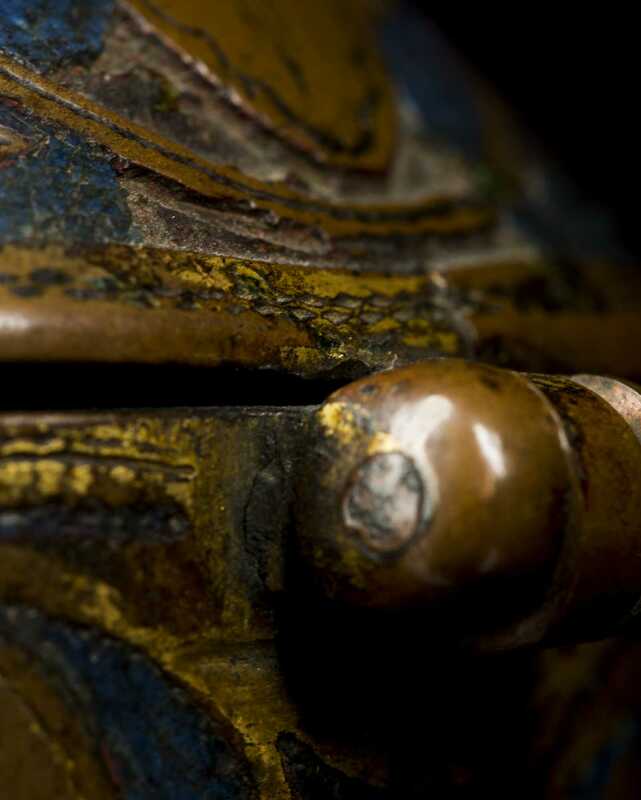 Elaborately incised, some areas of enamel deficient (see photos), wear to base, hinge and latch. 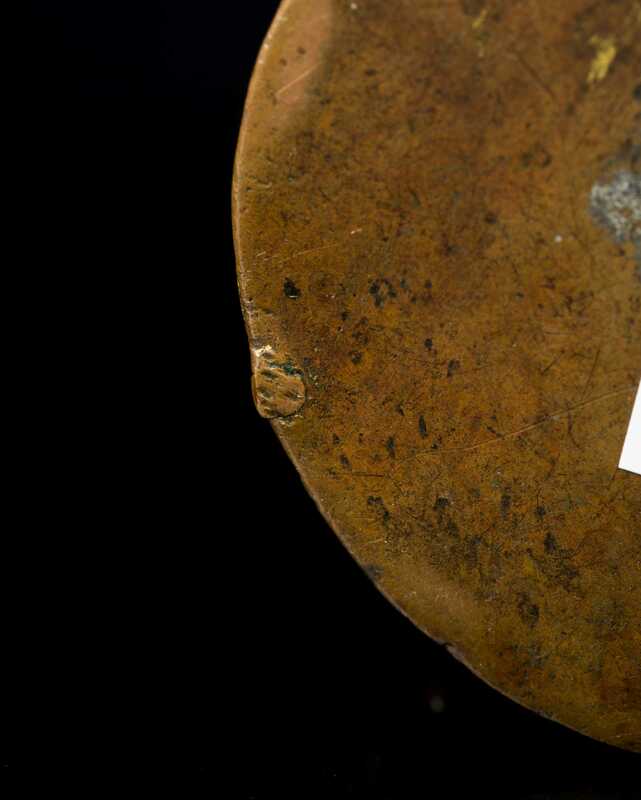 Height: 3 1/4", diameter 2 3/4".